I have made literally thousands of these doughnuts. 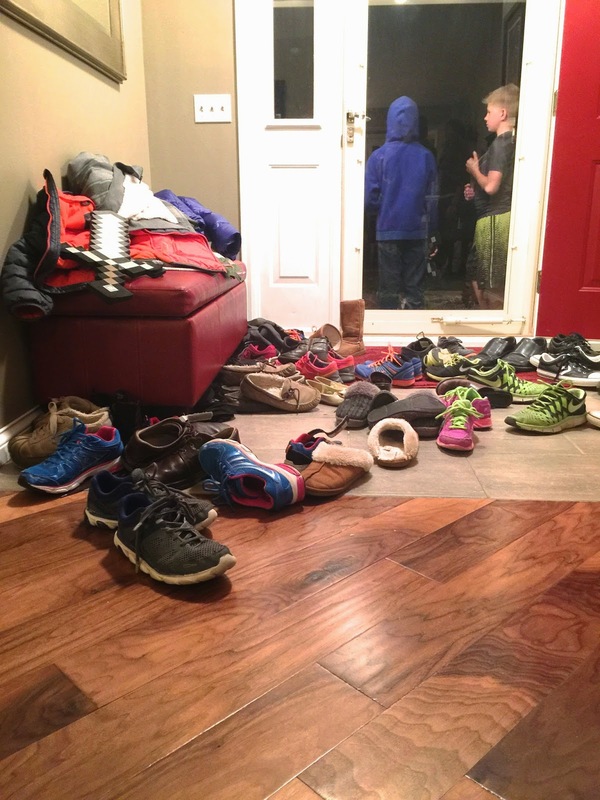 During the long cold winter months here in Minnesota we started doing Doughnut nights where we'd invite friends over and and enjoy some time together. They started out small enough but eventually got up to almost a hundred people and I've made up to 400 doughnuts in one night. It's kind of crazy. These are pretty much the best doughnuts around. They are light and airy but still have the right amount of chewiness to them. The secret ingredient in these doughnuts is potato! You need to cook and mash the potato (without salt or pepper etc) and then add it to the dough mixture. 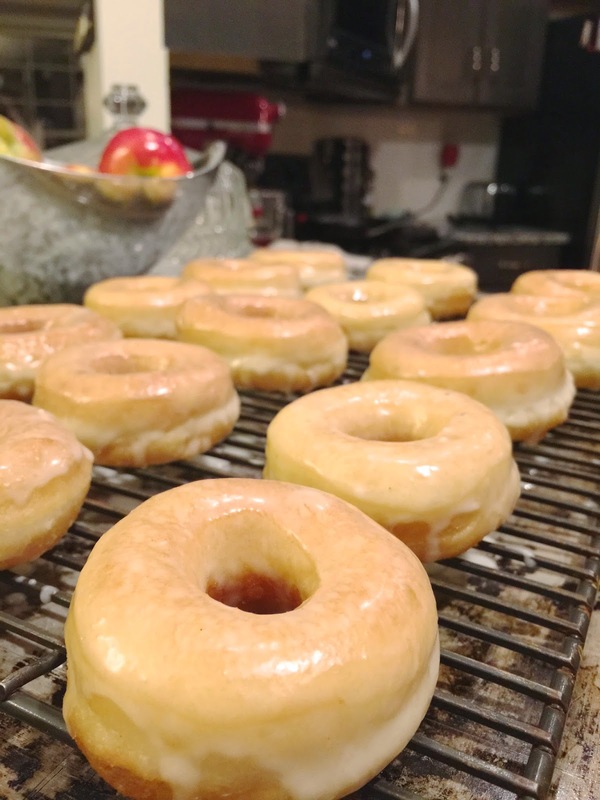 The potato starch helps with the browning of the doughnut and gives it some great flavor too. Traditionally, you may have heard these referred to as Spudnuts. Make sure you use a good high quality yeast for these such as Red Star Platinum Yeast. A good yeast will ensure that you get two good full rises and that it remains light and airy. To be perfectly honest, they are really ideal within an hour at the most from when you fry them. I have frozen the dough though after they've been cut into doughnuts for a few days and then letting them rise again and that seems to work well if you wanted to make the dough ahead of an event. Make sure you let them rise fully both times, especially after they've been shaped. You want them nice and light right before they go into the fryer. 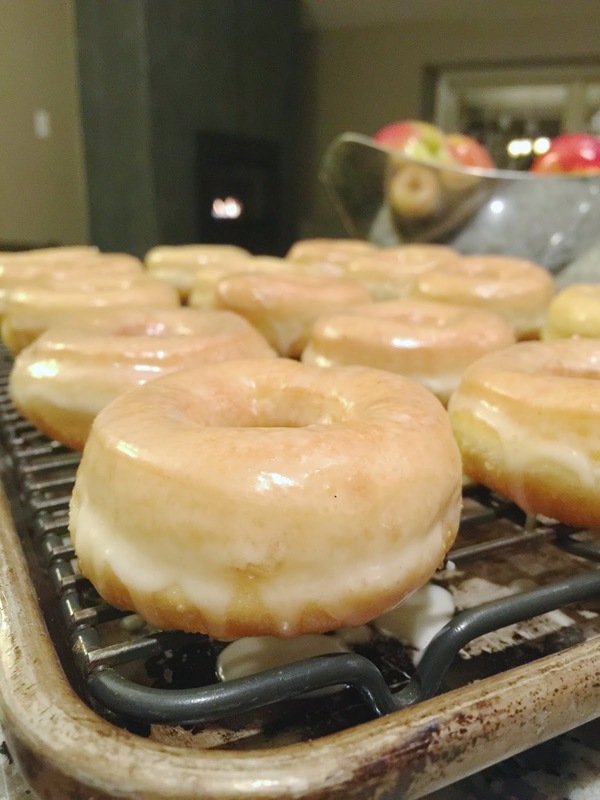 I've loved sharing this recipe with family and friends and then hearing back on how they've tried them for their own doughnut parties. So give it a try and let me know how it goes! Make sure you check out Red Star Yeast on Facebook too for lots more recipes and baking tips! Combine the yeast, water, potato, sugar, shortening, eggs and salt in the bowl of a stand mixer and mix with the paddle attachment until combined. Add 3 cups of the flour and mix until combined. Replace the paddle with the dough hook and continue to add flour and mix until the dough forms into a ball and doesn't stick to the sides of the bowl. Continue to knead the dough for 5-7 minutes and the dough is satiny and smooth. Remove the dough from the bowl, spray the bowl with non stick spray and place the dough in the bowl. Cover and let rise for 1 1/2 to 2 hours or until the dough has doubled in size. Gently remove the dough from the bowl. 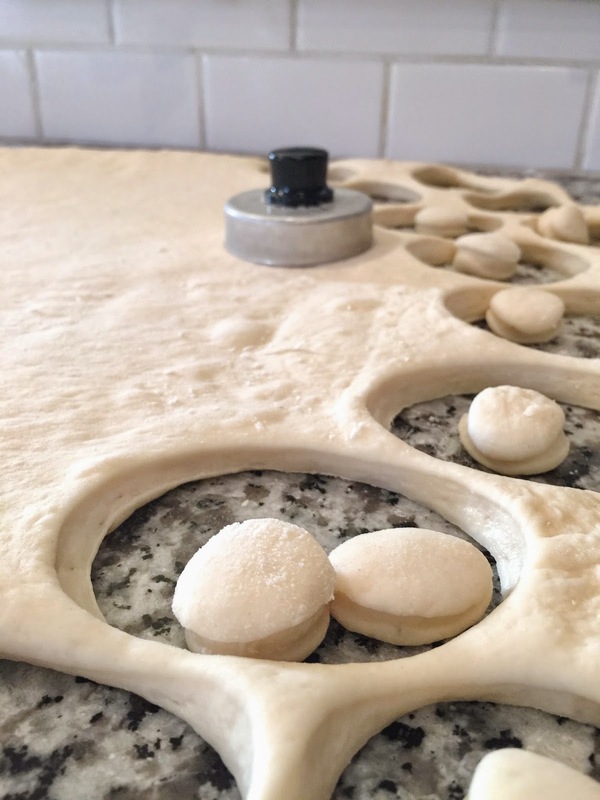 Roll the dough into a large circle approximately 1/2 inch thick. 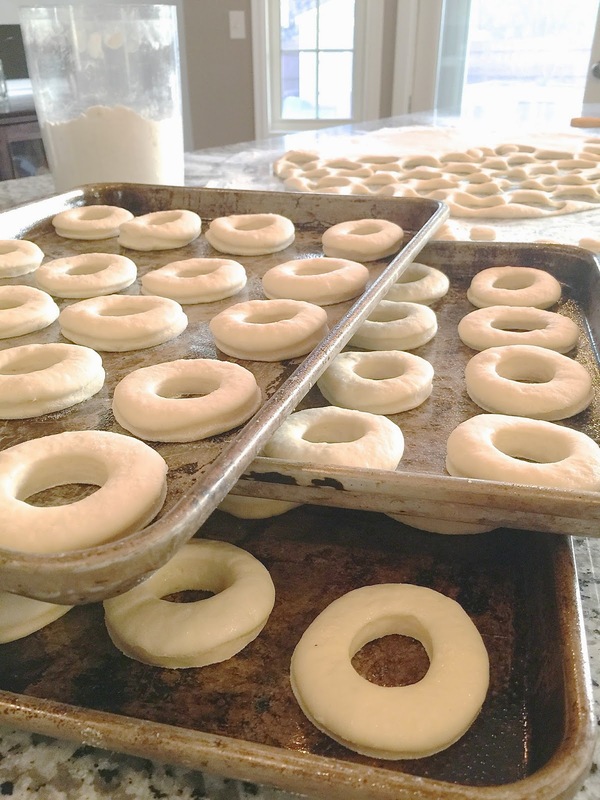 Using a doughnut cutter, or a cup (and a smaller lid for the inside circle) cut the doughnuts out of the dough. Place on a greased pan or counter top, cover and let rise for 30-45 minutes or until the dough is light and airy. 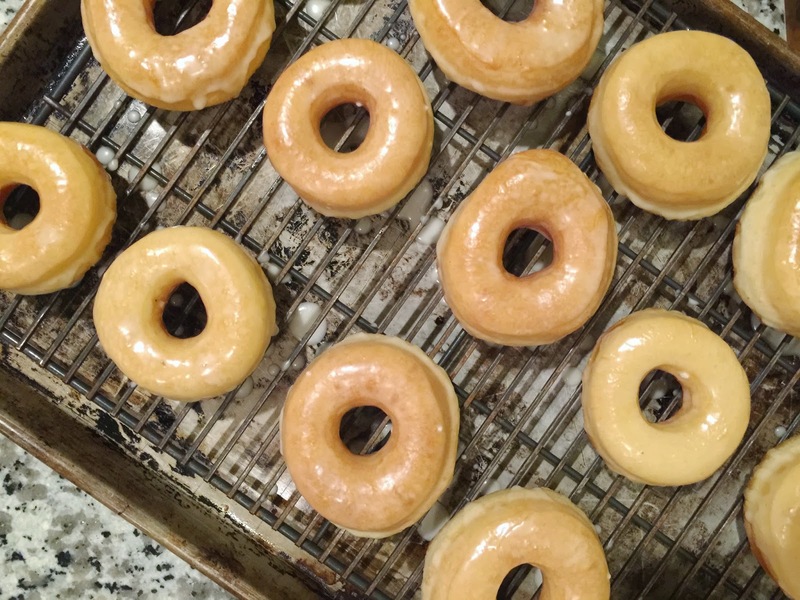 Cook the doughnuts in the oil that has been heated to 350-375 degrees. You'll need to watch the temperature and adjust as needed. The doughnuts should cook and become golden brown on each side within 30-45 seconds each. Remove from oil and drain on paper towels. Disclaimer: This recipe is sponsored by Red Star Yeast. All opinions are my own. We don't use margarine in our house...have you tried this with butter? if so, does it turn out just as well, or does the recipe need some adjusting? 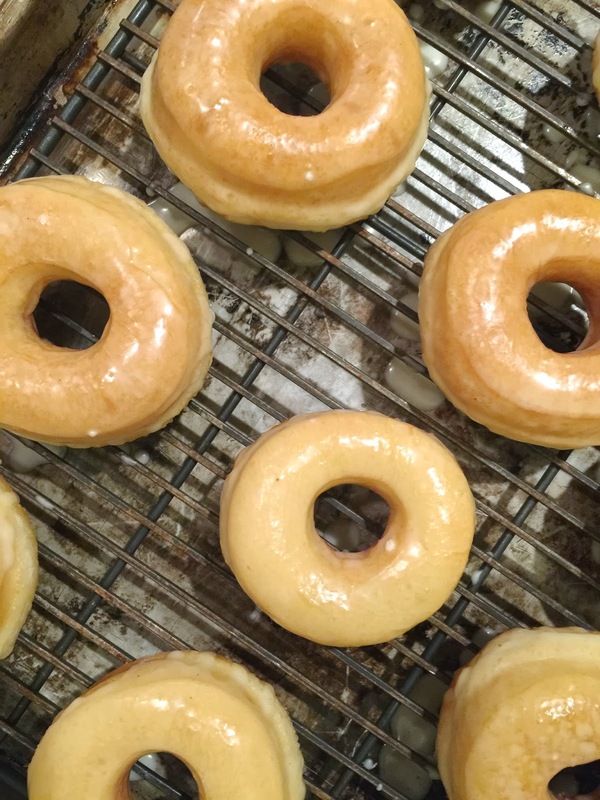 Have you tried making the donuts yet with butter instead of shortening? I am curious to see if it will make a difference in the outcome. Thanks! 2 and 1/4 teaspoons is equal to 1 packet of yeast. WOWWWW! Coming from a home fried doughnut loving freak here...these are the BEST I've ever had, let alone made at home from scratch! I did add 2 tsp vanilla to wet ingredients with yeast, and I use a powdered milk vs fresh- just bcuz I don't drink it and it spoils...I also switched up the glaze a tad by adding a tsp cinnamon Baker's syrup, and tsp butter vanilla Baker's syrup into mix with couple tbsp water and dash of the milk powder to account for recipe, but overall just enough liquid to get thick mix. Melted for 20 secs, and applied over drained ones with silicone baste brush. Will see if I can post pix on here, did heart shapes with hole centers since any round option at hand was eluding me beyond my patience! Anyways, thanks for the potatoes tip secret...that said,ill share my own tip with that...if u r someone who fries things like zucchini, onion rings, green beans, etc, I've just discovered instant potatoes are the golden secret to the best crunch ever, esp. If u do double dredge. They would be the 2nd final coat prior to oil...but I'm convinced it's part of the KFC secret now! If I could get the spice mix, it'd be boneless heaven here! Back to sweet loving things now! Thx again!